Category: Best Sellers Range, Birthday Range, Get Well Range, Just Because Range, Romantic Range - Flowers for St Valentine's Day, Thank You Range. 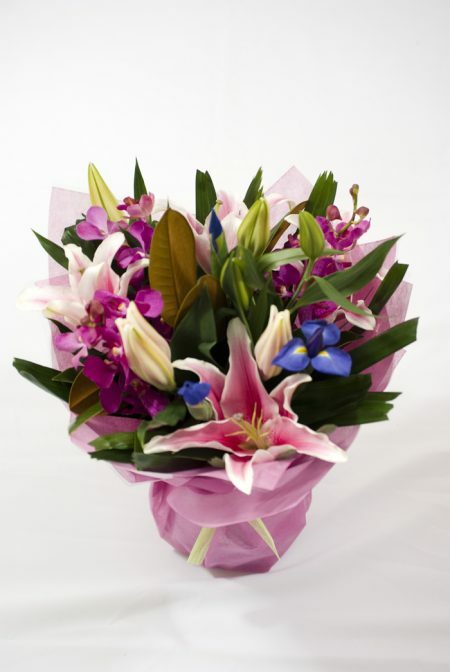 Love the smell of Oriental Lilies? This bouquet will transform any room with its mystic scent and elegant blooms which also includes orchids and Iris for an extra splash of colour. Bright, Cheerful and perfect for any occasion.